Display your love of all thing Bat with this Batman Wedding Ring. Our Batman Wedding Ring can be cast in Sterling Silver, Argentium Silver, white, yellow, or rose Gold, Platinum, or Palladium. It can be made from 5mm-12mm wide and in sizes 4-15. We can put a certain number of stones on each side of the bat or they can go all the way around the ring. Any type of stone can be used as long as it is cut in 1.3mm to 2.5mm sizes. The bat is made with enamel, which is far more permanent than the oxidation. It is only damaged by high heat and solvents like acetone. 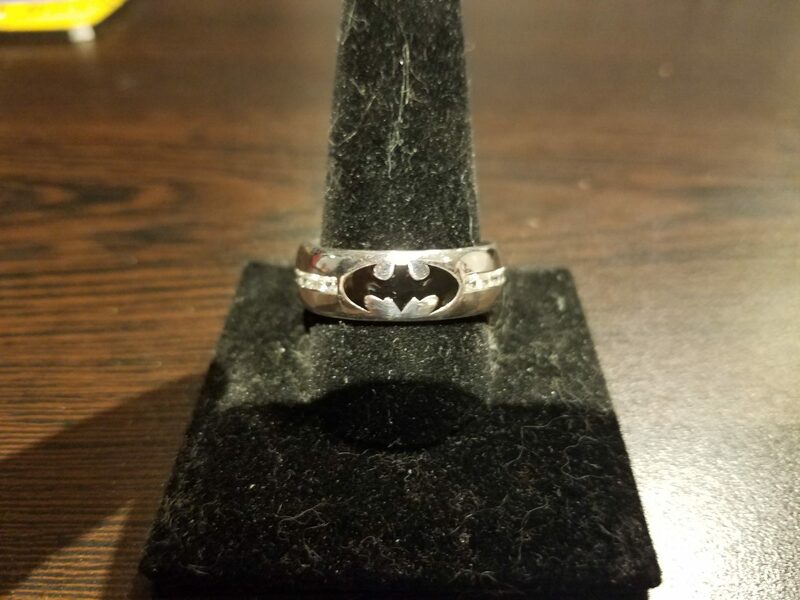 This Batman Wedding Ring is a unique must have for any batman fan and we can make then in a wide variety of configurations. 1. What size do you want it to be? 2. How wide do you want it to be? 3. What metal do you want it made of? 4. Do you want stones on the side of the bat? If so, how many and what type of stone? The starting price is for a 5mm wide silver Batman Wedding Ring with 5 CZ’s on each side. 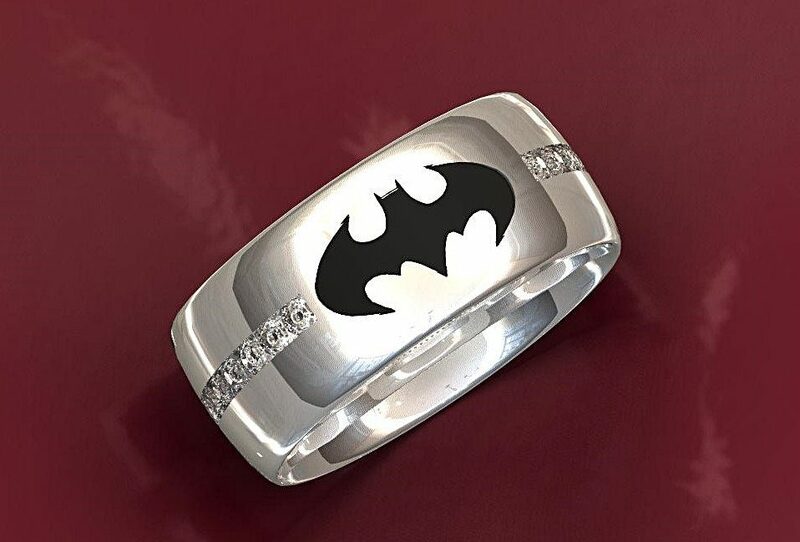 If you want a Batman Wedding Ring without stones in it, the link for that ring is: HERE. Click HERE to learn more about custom jewelry, to see our portfolio, or to contact us about a Batman Wedding Ring. It can cost less than you think to have your very own custom engagement ring made just for you. Why hassle with the retail stores for boring and overpriced engagement rings?